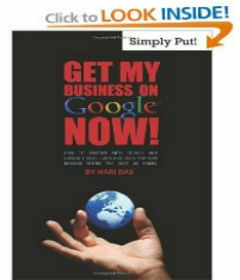 Generating new customers for your business through the Internet is what I do! I specialize in modifying your Internet web site to increase your revenue through the means of search engine marketing! Experience tells me that many business owners are confused when it comes to successfully marketing on the Internet. This is where I come in and remove the confusion with easy to understand strategies that help you target your best potential customers before your competition. Our clients are astonished when we turn their own web site into their most powerful and effective advertising tool. Having a good looking website Isn’t enough. Today, thousands of people in your area and around the world search the internet for businesses just like yours. Unfortunately, if your website doesn’t appear prominently on the search engines like Google, Yahoo or MSN you can be sure those potential customers will find and contact your competition that they discovered before they found your business on the Internet. If these potential customers don’t even see your website you’ve lost a sale. The best looking website in the world is not worth much if people can’t find it. Rarely do people look for a new business using the website address. They find your product or service by using a search engine. Most small businesses can’t spend enough through old-fashioned advertising like the newspaper, radio or Yellow Pages to get people to remember your website address. Fortunately showing-up prominently on various search engines doesn’t happen by accident. There is something your small business can do to help get your website top rankings on search engines like Google, Yahoo and MSN. 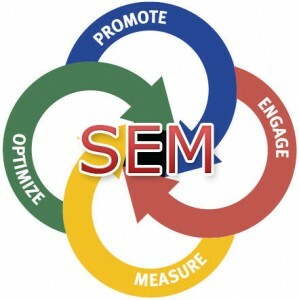 Some call it Search Engine Marketing (SEM). That is the art of driving traffic to your website. Well, personally I think SEM is important. But I also think that this traffic is worthless if your website is not ready to convert this traffic. That is why we devised a system that will encompass everything that is needed for a business like yours’ tho harness the power of the internet. We work with small-to mid-sized businesses with small budgets that need to get websites seen by potential clients and customers. Using my proprietry MUNA SYSTEM, I will get your website seen by more customers. It’s simple-the more people that find you on the Internet the more sales you will make. Cash Cow Consulting will provide a cost-effective Internet solution for your business. Contact us now to get your search engine marketing plan today!